Facebook is rolling out a new feature that lets you set a short, GIF-like looping video as your profile picture, the company announced Wednesday. The new feature is rolling out slowly, Facebook says, so you might not get it right away. The company also said it’s coming to iPhone users first, so Android owners should sit tight a bit longer. 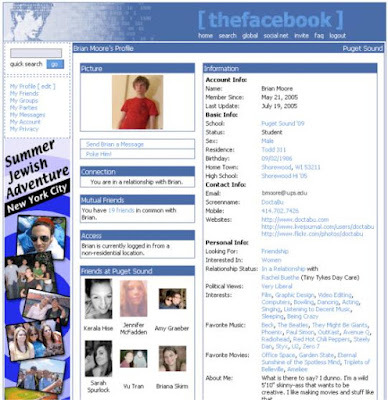 Open the Facebook app on your iPhone. Hit the “More” button in the bottom-right corner of the screen. The first thing on the list that appears should be your name. Tap it to go to your profile. Tap your current profile picture. Here’s the moment of truth. 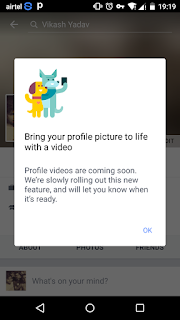 In the menu that appears, you’ll either see the option to “Take a New Profile Video,” or it’ll say “coming soon.” If you’ve got the option, you can go ahead and record a short video to use as your profile video, or upload one you’ve already taken. And that’s it. We look forward to all the creative ways people use the new feature!